Since the introduction of the profoundly successful Hagstrom Ultra Swede in 2007, guitarists all over the world have been stunned at the instruments willingness to offer players a premium performing and sounding instrument at a very modest cost. Over the years, Hagstrom's designers have explored the details of the Ultra Swede and have finally created an upscaled sibling of the Ultra Swede, the "Ultra Max". The body joins to a mahogany set neck utilizing a mortise and tenon neck joint with a 25.50" scale length, which naturally features our H-Expander truss-rod and Resinator fingerboard. 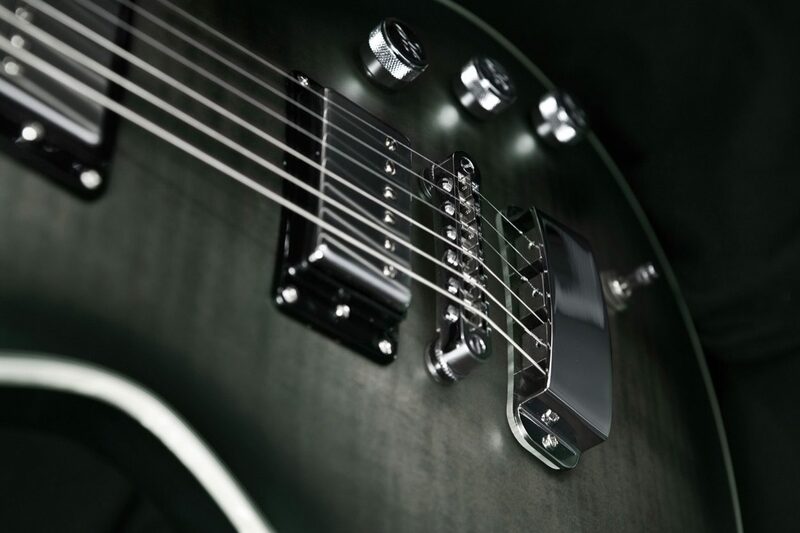 Its sleek and "ultra-comfortable fast neck" is paralleled with our Custom 60 Alnico-5 pickups with their eloquent Aluminum Brushed covers, delivering the cutting voice that this instrument demands. Each of the Ultra Max's specially wound Custom 60 humbucking pickups utilizes Nylon coated wire united with an Alnico 5 magnet (unmistakably familiar to the "Custom 58"). However, the Custom 60 ultimately packs a mighty punch and hot sizzle compared to the vintage voiced Custom 58. Each pickup is controlled with its own independent Volume pot featuring our standard R/C circuit on each potentiometer, to help focus on its cleaner tones with a slight turn of the pot. It's single Master Tone also features a dual coil split, using its push/pull tone configuration to allow for players to switch from "Full Humbucker Tilt" to "Spanky Single Coil Clean" in a heartbeat. The Ultra Max combines all of the power, long sustain, clarity and attack, as found with the "Ultra Swede", yet offers players a fresh tonal pallet with additional flexibility and comfortable playability with its compact body. With its longer 25.50" scale length the Ultra Max handles drop tunings with ease, where players looking for a slightly slimmed body with a searing tone will have found their long-term mate. The most surprising aspect of these instruments will be their shockingly reasonable price. These are Hagstrom through and through, and built to be driven long and hard. 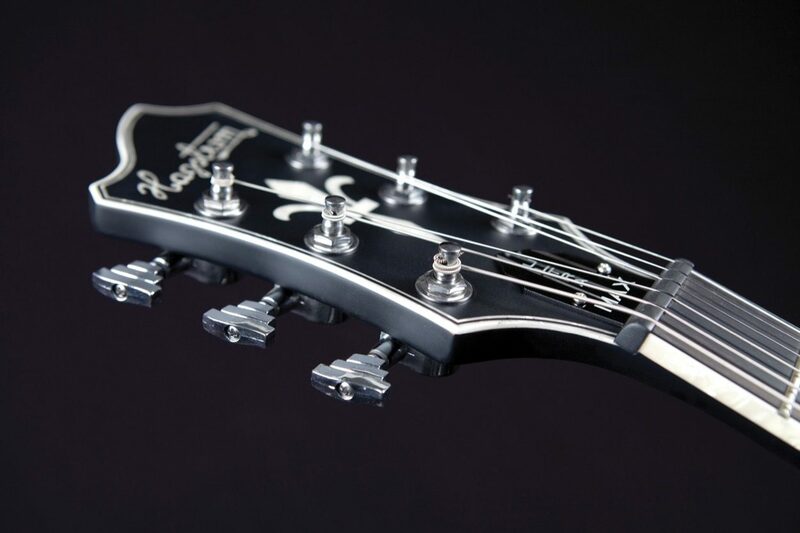 zZounds is an authorized dealer of Hagstrom products. 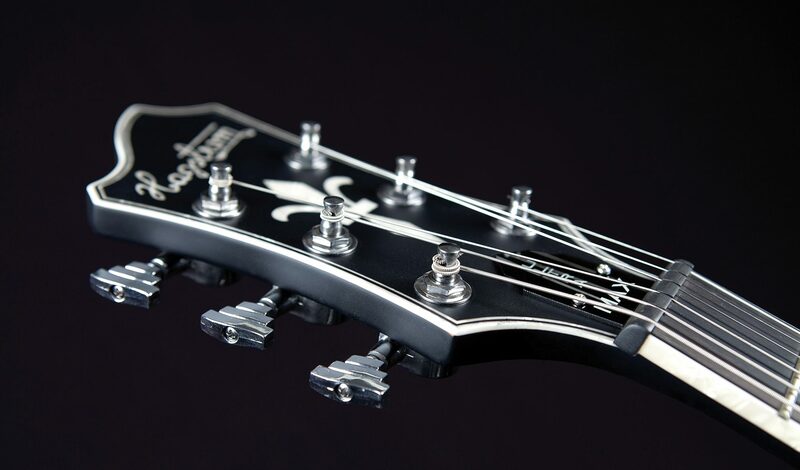 - Neck Profile: Slim "D"
close [x]More ExpectedWe have been given a date of May 15 for the arrival of this item. This date is not guaranteed, rather an estimate based on either information obtained directly from the manufacturer or historical delivery data for the specific manufacturer.